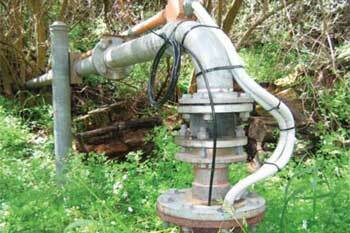 One of the more common applications is to protect irrigation submersible and centrifugal pumps. Centrifugal pumps are too easily damaged by too high a flow rate, which results in cavitation or bearing damage. Limiting peak flow rate through centrifigul pumps maintains flow rate through it within the pump manufacturer’s design parameters – thus preventing cavitation. 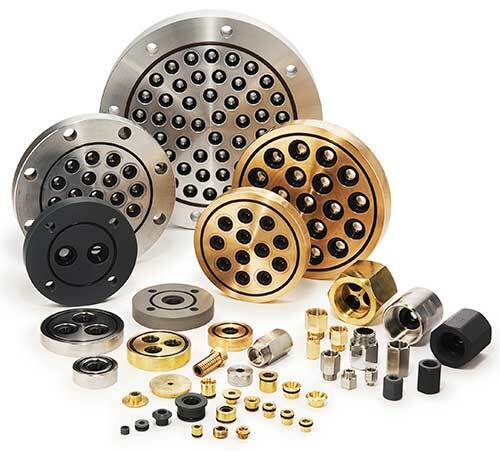 Limiting peak flow rate of pumps limits power draw and therefore can prevent motor overload, and nuisance tripping. Too high a flow rate can occur when e.g. a submersible’s gate valve is unwittingly opened too far, or pipework bursts. The irrigation valves are also often used for limiting flow (therefore ensuring adequate head) in submersible installations where the standing water table is relatively high at startup. It is at startup only, when the water table is high, that there is insufficient head on the pump. This inadequate head results in cavitation or thrust bearing damage. The installation of a Maric Flow Control valve maintains the flow rate and head within the pump manufacturer’s design parameters. The same applies where pipework is empty at startup. Getting water to end of a long water main, for the purpose of irrigation or tank filling can present challenges if too much water is taken near the source. By using Maric Flow Control irrigation valves to limit the flow rate at each take-off, the designers of the installation can ensure that adequate water pressure and flow rate will be available at all points along the line. The use of Maric Flow Control valves in this application is more cost effective than having to install larger pipe sizes. This is particularly important for water authorities, supplying numerous property owners over vast distances. Other applications in the rural sector include – fertilizer dosing for irrigation, vitamin dosing for stock, limiting flow to stock troughs (in the event of e.g. float valve failure), water treatment processes, and sprinkler flow control.